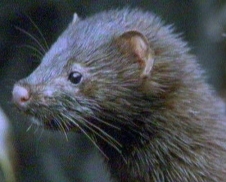 Mink are voracious hunters and will devastate wildlife to the point of extinction in certain areas. They will take any animals or birds they can including fish (from rivers, streams and ornamental ponds), birds, rabbits, rats, voles, ground dwelling birds and pets. Foxes often get blamed for the vast destruction that just one mink can cause in a poultry unit.